AM Clean Sound - AM Clean Sound Anti Static Record Mat. Bleep. AM Clean Sound's anti static record mat is the perfect way to eliminate any unwanted crackle and buzz caused by static. 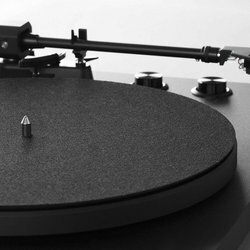 Ensuring the only buzz around your records is the excitement before and during playtime.